Growing up with his father as his mentor, Fernando would join his dad on the weekends and summers working side by side learning the plumbing trade. Fernando entered the plumbing industry full time in early 2016. He went to work for a company that performed warranty work for plumbing and A/C. He was responsible for diagnosing the problem and making the proper repairs. He began his career with Dignity focusing on small residential projects. As his knowledge and experience blossomed, so did his plumbing capabilities. Fernando started to learn commercial plumbing earlier this year and currently works on both sectors of the industry. 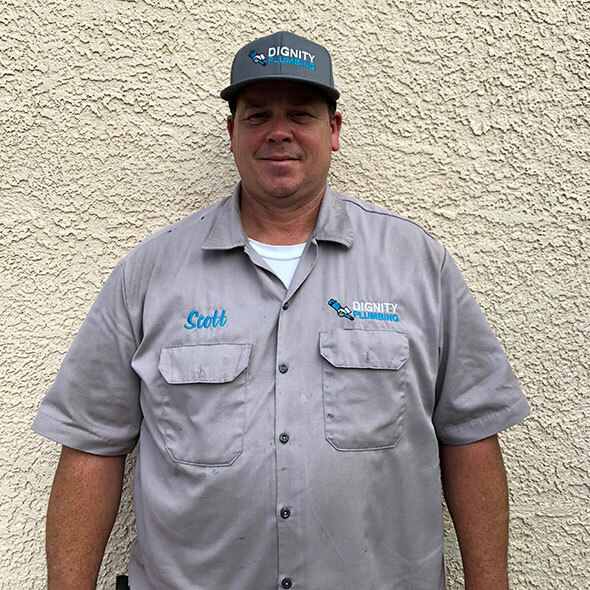 Scott moved to Las Vegas in 2001 and immediately embarked on his plumbing career. He was recruited to a local plumbing union in 2006 where he obtained his journeyman’s license. 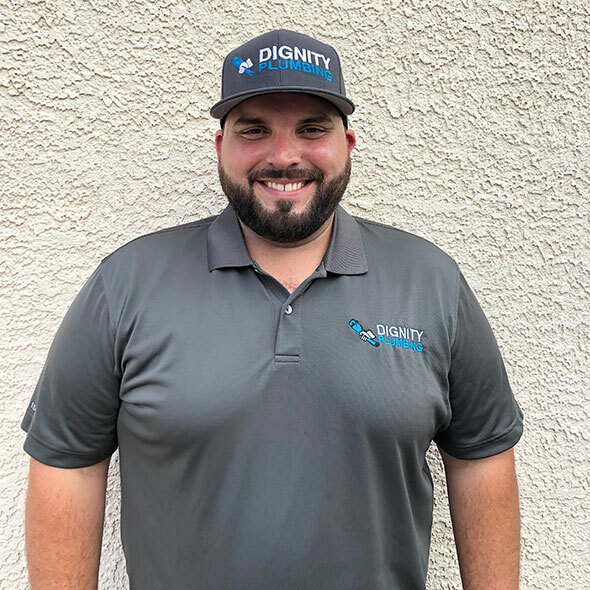 Scott began working at Dignity Plumbing in 2017 and specializes in both residential and commercial plumbing as a plumbing technician. He has worked on multiple large-scale projects on the Las Vegas strip such as City Center and the Fontainebleau. Kenny was born and raised in Las Vegas and is the fourth generation of his family to embark on the construction industry. He doesn’t remember a day when he didn’t want to be in the construction trades. As a little kid he remembers everyone going to career day in school as a lawyer, doctor, athlete, cop or something along those career paths. Kenny would wear jeans, boots, a hard hat, his dads tape measure and an old radio and go as a construction worker. Upon graduating high school early, he went through an additional four-year schooling program to obtain his journeyman’s status. Kenny moved up to a supervision role early in his career and managed large-scale casino projects. 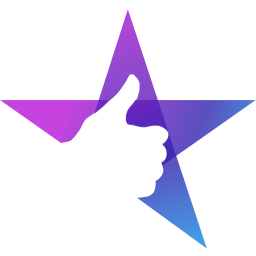 He ventured out on his own to start a residential and small commercial general contracting business, and eventually a commercial framing and drywall business as well. During his time in construction, Kenny encountered constant plumbing issues. 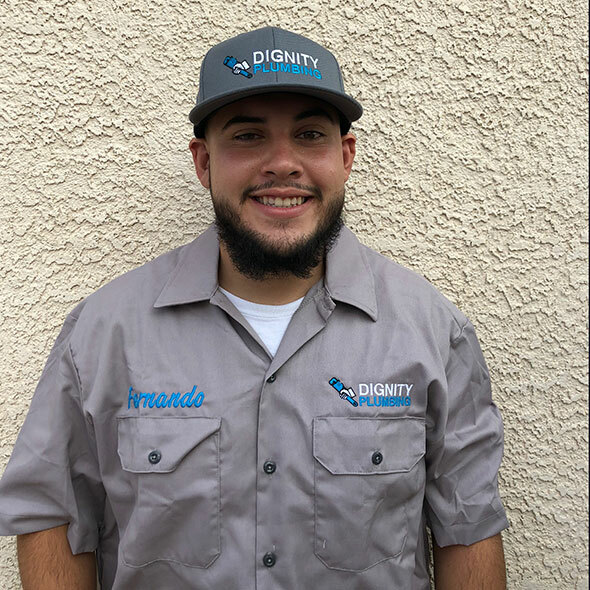 With a desire to problem solve and provide the city with an honest plumber, he started Dignity Plumbing. He hopes to continue to open trade businesses with plans of continuing to better the Las Vegas community.